When was the last time you laughed uncontrollably because something was so comical? That you laughed until tears flowed and your sides ached. Maybe it was while watching those old reruns of “I Love Lucy” and you just couldn’t help giggling. Or what about that special friend who’s humorous and you enjoy time with them because of their chucklesome antic’s? You find that when you’re together everything is amusing and lighter. It’s always a pleasure to be with those who have a perspective of life that is sunny and bright. Have you ever been in a prayer meeting when it seems the spirit of laughter is present. The meeting becomes a celebration, and laughter and joy are the attendees. It’s been said, “Humor is to life what shock absorbers are to automobiles.” Riding in a car without shock absorbers is a very tough ride; and so is life without joy. Genuine joy comes from God, and laughter is a natural painkiller; and there’s no fear of overdose! “A cheerful heart is a good medicine, but a crushed spirit dries up the bones” (Proverbs 17:22). The Lord will lead you in way of joy. “You will show me the path of life: In your presence is the fullness of joy; at your right hand are pleasures forevermore” Psalm 16:11. 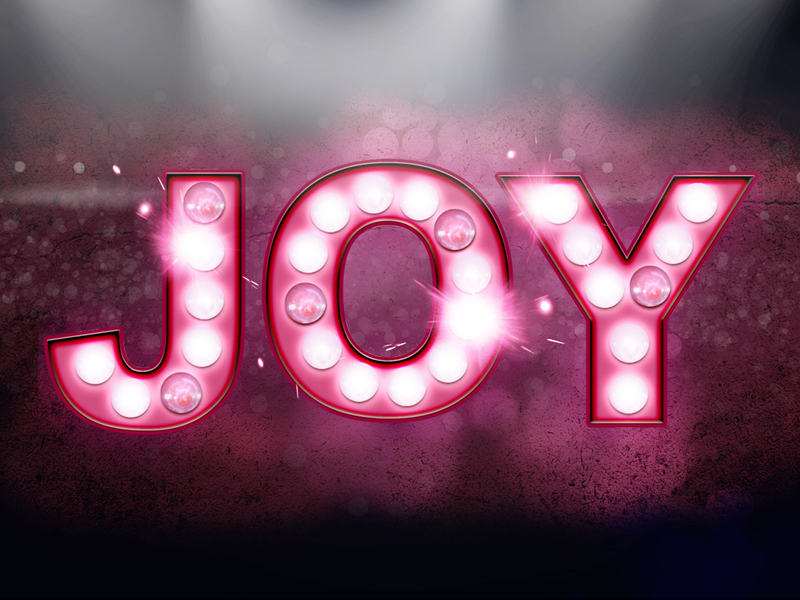 Joy comes from His presence in your life, not your circumstances! In the story of Paul and Silas we see joy and the power of praise at work in a time of tremendous adversity. “But at midnight Paul and Silas were praying and singing hymns to God, and the prisoners were listening to them. Suddenly there was a great earthquake, so that the foundations of the prison were shaken; and immediately all the doors were opened and everyone’s chains were loosed” (Acts 16:25,26). Suddenly God’s presence and power were displayed and immediately everyone’s chains fell off and the doors were opened! That night everyone benefited from the joy and power of God. Even the jailer came to spiritual freedom and salvation along with his entire family. Does God always respond to our joyful praise with instant miraculous intervention? No, sometimes things get worse. But God has a plan and it is often to accomplish a greater work in our hearts. Even if our situations don’t change, as we praise and magnify the Lord, we change. Our perspective becomes more accurate. Our circumstances begin to take on their proper proportion to the greatness of God. Our faith is strengthened as we focus on His majesty, might and mercy. Our natural reaction to our own life events may be to complain, doubt, and be anything but joyful. The specific factors connecting the event may bring continual pressure, followed by the attempt to negatively impact our thoughts and actions. Don’t give up in despair! Follow Paul and Silas’ example and choose to respond in faith in the face of adversity, joyfully singing and praying. This is my choice to, “Be joyful always. Pray continually. Give thanks in all circumstances. For this is this will of God” (I Thessalonians 5:16-18).